4k00:17Ripe quince on branch. Organic fruit growing in the orchard in fall. hd00:13Close up of an apple tree, centered on a single yellow apple just about to turn red. hd00:10European pear tree with fruit - close up branch old-growth pear tree. hd00:11Quince tree, branch with fruit - close up + zoom out. 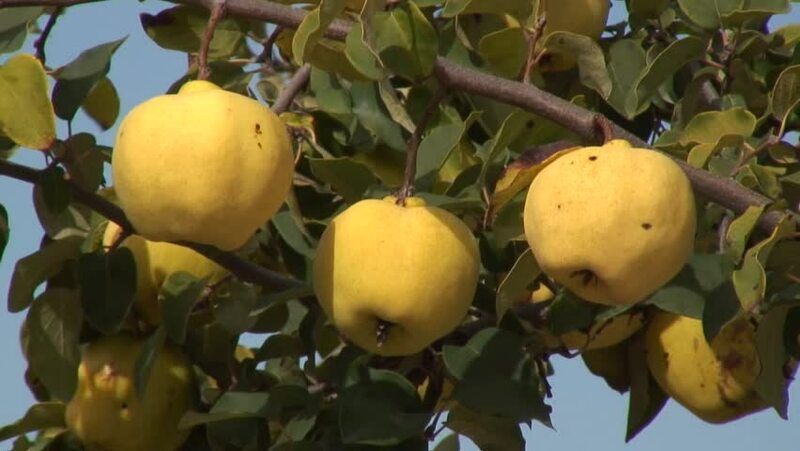 The quince is a small, deciduous tree that bears a pome fruit, similar in appearance to a pear. hd00:15Close up of an apple tree, centered on a pair of bright green apples. hd00:09An extreme close-up static shot of nutmeg fruit in Kerala India.